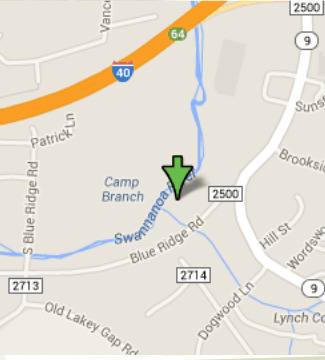 We are located conveniently off of Interstate 40 at exit 64 in Black Mountain. From the East take a left when you take exit 64. Continue past the Ingles Shopping Center and Blue Ridge Road will be the first turn off of HWY 9 to the right. Our church is located almost immediately on the right. From the West you will take a right after exiting. Continue past the Ingles Shopping Center, and Blue Ridge Road will be the first turn off of HWY 9 to the right. Our church is located almost immediately to the right.